i do not take credit for this how-to. this is a port from another site witch was then ported from my site, figured it would be a good how-to to have floating around the site. 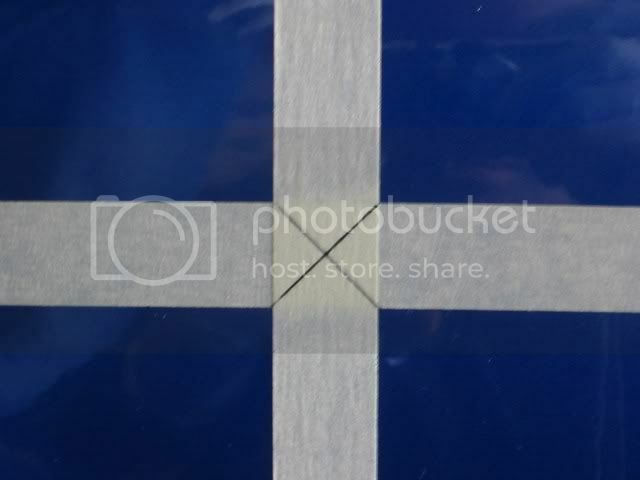 Photo of the placement on the fender, 155 mm from the top of the molding to the bottom of the tape and 140 mm from the edge of the door to the edge of the tape. 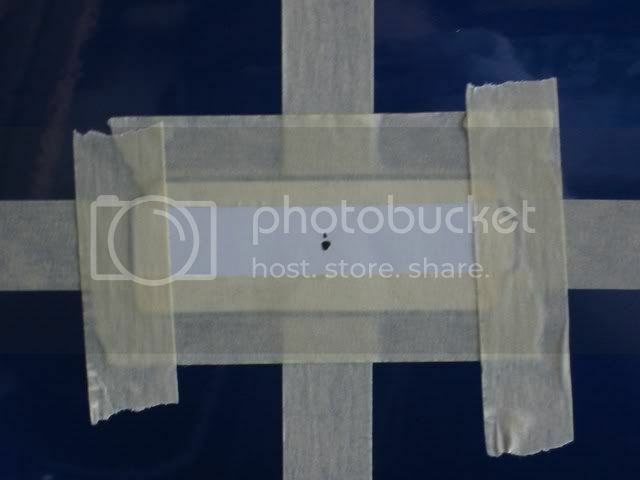 After cutting the hole, add some touch up paint on the bare metal to help prevent rust. There are two wiring options. JDM (Sidemarker only blinks when turn signal is on) or USDM (Sidemarkers stay on and blink alternately with the signal). 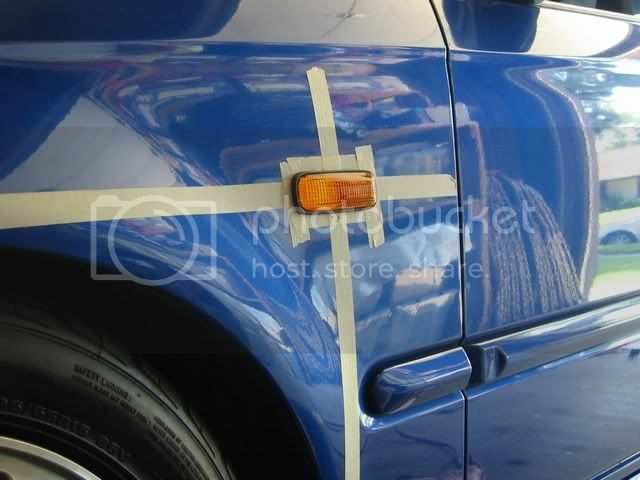 Pull back the fender liner and remove the corner/parking light. There will be 3 wires going to the bulb. Tap into the corresponding wires for each blinking style. Tap into green(turn signal) and black(ground) wire. Tap into red(parking light) and green(turn signal) wire. Now side markers are in! 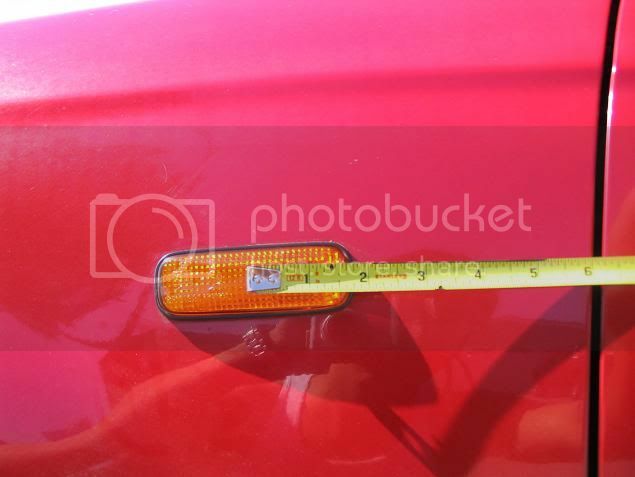 Use this photos to compare with the oem ek9 side markers installed in a EK9. I see them 98% perfect. Use a spare fender to test first! If you don't have patience, don't do it. Remember to put some touch up paint in the hole to avoid corrosion. Keep in mind that in certain USA states, and other countries; you can get pull over by the cops if they want because of this modification. [.saint works] is coming soon! .saint, the rolling honda EK parts jdMuseum. i ♥ shaina. forever in my heart. 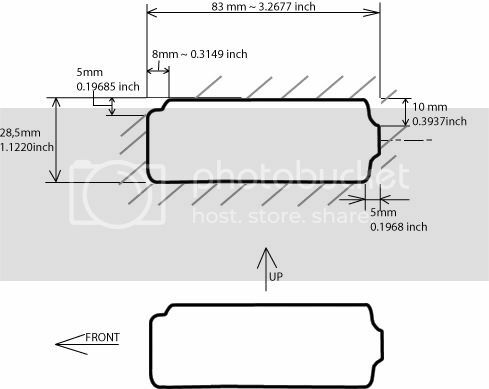 Re: [*diy*] ek9 honda civic side marker install. Great write up as well to have .Saint, keep it up............we need more of these circulating around!! 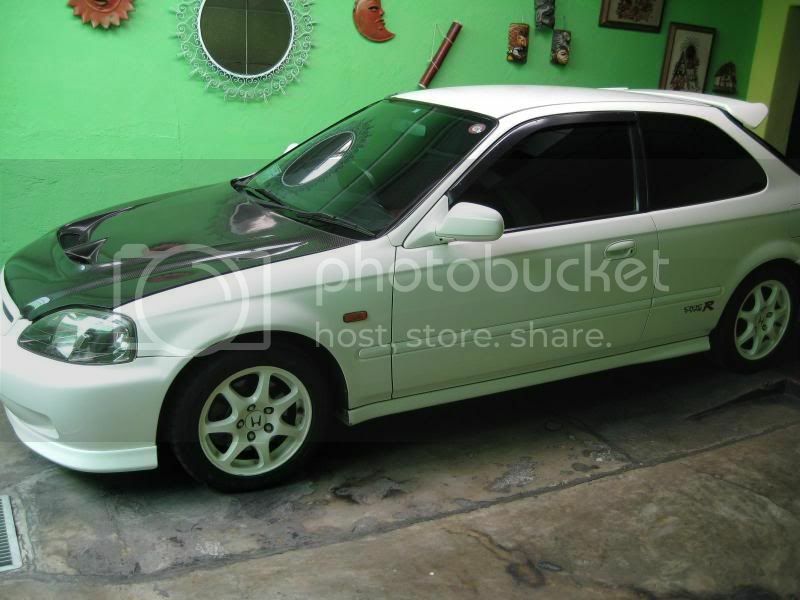 haha i can do a mad tyte jdm ambulance light up deal on your sol chunky ask rodnie =] btw your sol looked pretty good when i saw it chillin at chens for like a year. installing my side makers was the most nerve racking thing ive ever done. i used this exact diy and everything is good and gravy. i think a dremel is a better tool to use tho if anyone wants to take a stab at it. Practice on some scrap metal first with the dremel so you get the hang of it. Some of those round bits for steel can get away from you and next thing you know you got a nice line cut but it's half way down your fender. But whoever said earlier was right....patience. Practice on some scrap metal first with the dremel so you get the hang of it. I put at least 5 holes in an old fender before i got it right. Yes...that is a great write-up. Best thing about it is it has measurements and pictures. I've never used a nibbler, (I don't have that kind of spare time), I've always used a dremel with cut-off disks. 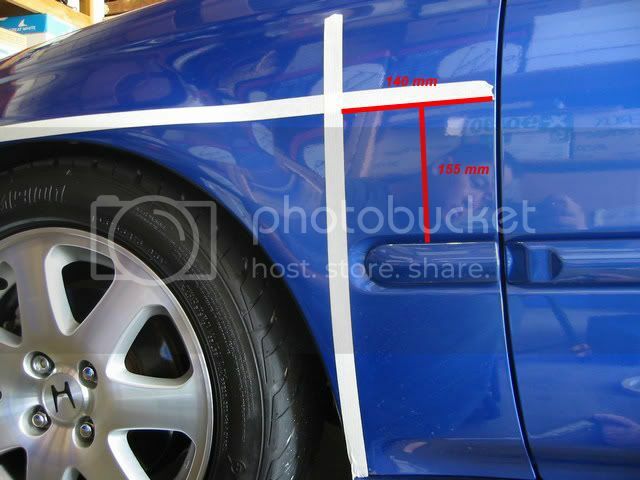 Word of caution though...tape off the fender real good, make a cardboard template so you can test fit your side marker in that and then be able to trace it onto the tape on the fender, start small, cut, test fit, cut, test fit, cut, test fit, etc. A steady hand is a must with a dremel, I'm talkin' hold that puppy tight...don't let it get away from you. If you don't feel comfortable doing them yourself...bring them to me...I'll be glad to do them...for a small price of-course. Last edited by gabebauman; 06/01/2010 at 09:21 PM. 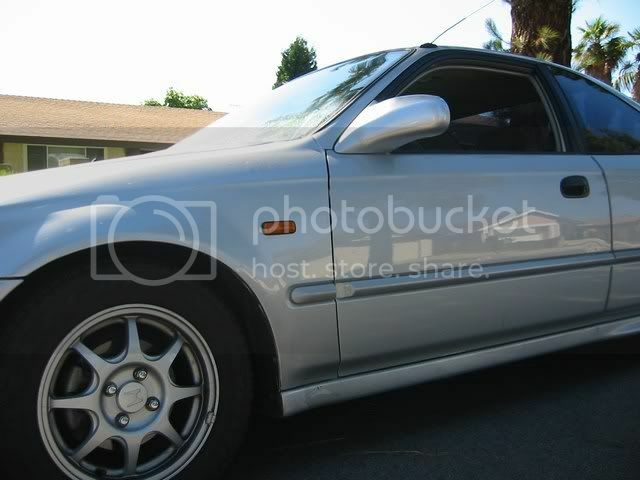 i dropped a set of ej8 fender's to gabe on friday to have the sidemarkers installed. got them back a day earlier than expected, and they look great. thats the second set of fenders hes done for me, and i recommend anyone wanting these to send em to gabe, he'll take care of ya. 1. 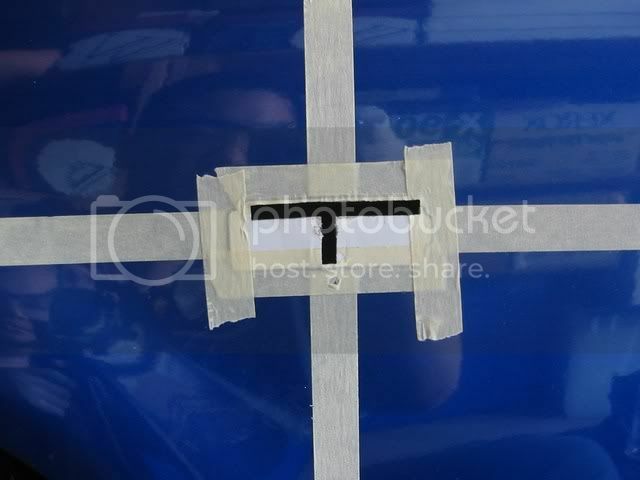 Cover the entire fender area with with paper/tape. This helps when you lose control of the dremel. Trust me it will happen. 2. 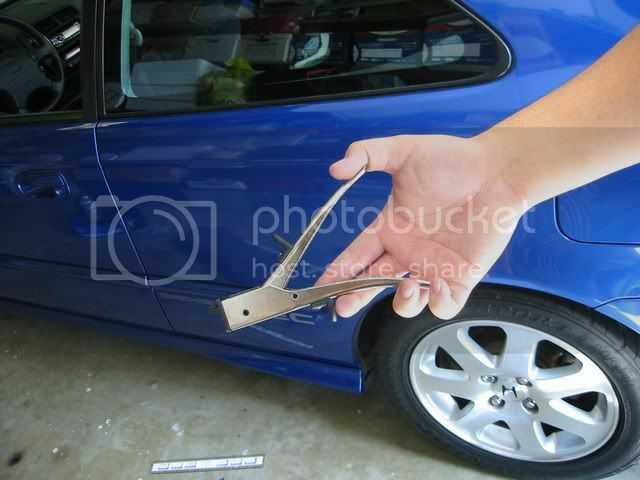 Always anchor your hand against the car before pressing in with the dremel, so you don't lose control. 3. Be patient!!!! Go slowly and remember to anchor. 4. The guide here says 155mm, but I'm pretty sure it's actually 125mm. 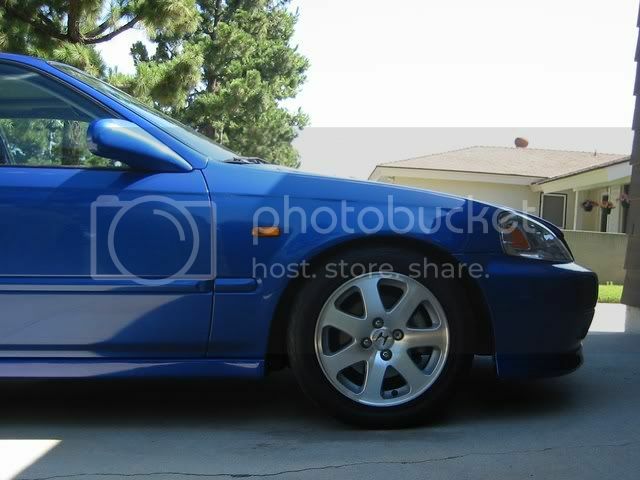 Look at the picture, it lines up with the top of the wheel well. Just make sure yours lines up with the top of the well too. 5. Don't force the light in there or you'll bend the fender. Just be patient and widen the hole. 6. 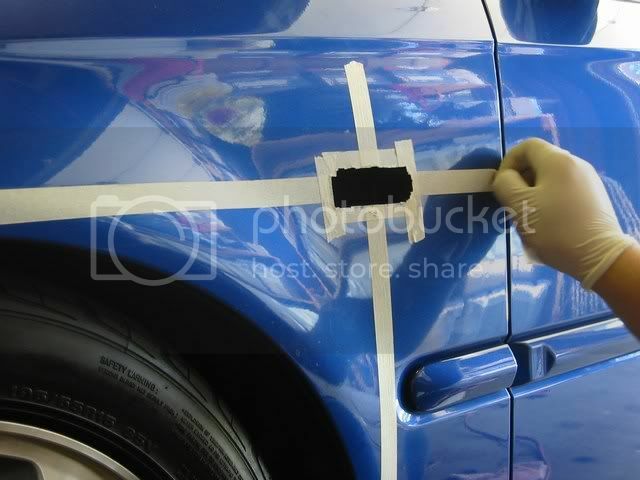 The car paint might peel so watch out for it and remove any tape around the hole slowly. 7. BE PATIENT AND CAREFUL. 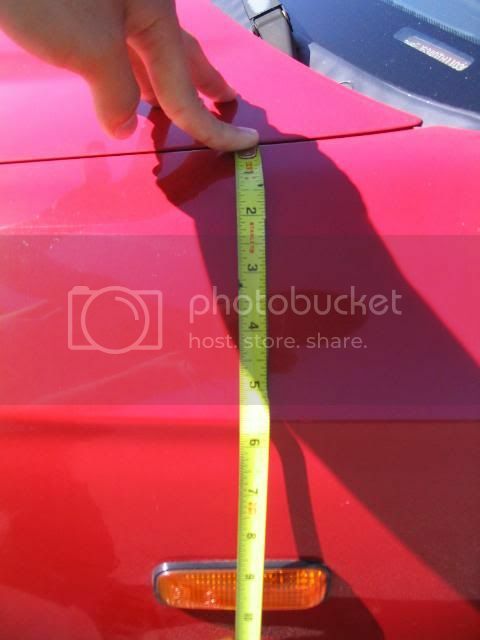 Very nice work, Will these measurement work on a 1992 Acura Integra? gabe, how much you charge? Pm him. An how did a 2 year old post get bumped.